The Daily Mail has an EXCLUSIVE report about the “30-year bromance” between allegedly absent father Tom Cruise and allegedly absent husband David Miscavige, and it’s just suggestive enough to be satisfying. 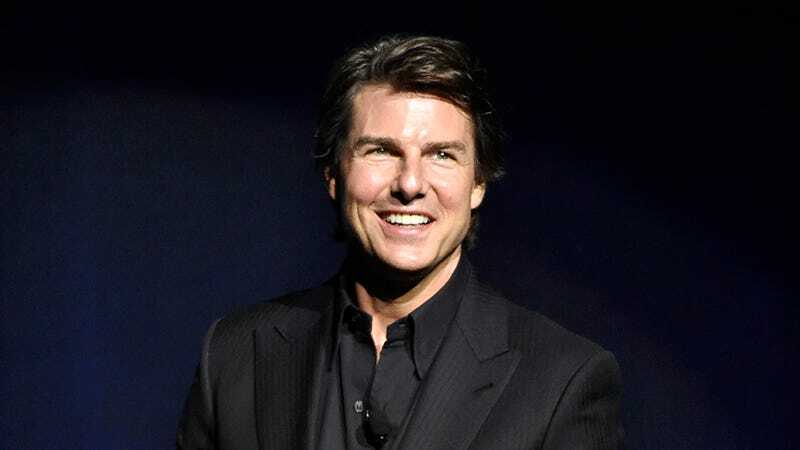 They refer to Cruise as “a cigar-chomping gambler who speaks in a special Scientology language” with Miscavige, the leader of Scientology, and claim the two spend “huge amounts of time” at the church’s headquarters in Hemet, California. I wonder where Shelly Miscavige was while they were busy outdoing each other. Nicolas Cage may have been instrumental in the capture of a kidnapper, because he is a Nic of all trades. After a photo of Cage holding 15-year-old Alexis Boroviak’s missing poster alongside her stepfather “went viral,” police captured the 51-year-old who was holding her captive. [Boroviak’s stepfather] told us he thinks the social media awareness around Nic’s pic absolutely spread the word — and even helped him navigate some bad neighborhoods. He says while he was searching, people would recognize him as “the Nicolas Cage guy” and then stop to help out. He’s found centuries of relics in Boston and a city of gold under Mount Rushmore, but it looks like the most important of Cage’s national treasures was... a young girl’s life.